Not sure how to address wedding invitations? Perhaps you’re still stuck on how to address save the dates? Chances are, you’re not the only one. Nothing to stress about. It’s not like you find yourself addressing envelopes on the daily. Getting married typically means you’re going to discover just how much you may not know about snail mail. First thing’s first. Do you have the mailing addresses of everyone on your guest list? If you skipped that first step, you may want to go back. Don’t worry, collecting physical mailing addresses doesn’t have to be a complete nightmare. Postable’s free wedding address book makes collecting addresses a total breeze. Once you have your guests’ wedding addresses in hand and are ready to take the first step to addressing wedding invitations, you’ll need to make a few simple decisions. Main one being, how you’d like your envelopes to be addressed. In other words: the formality level. Are you going for a more traditional approach — keeping the envelopes as formal as it gets– or maybe something more casual? There are a number of little nit picky rules you may want to review. Like what to do if the couple has different last names? Should you list all of the children’s’ names or just put “And Family”? What if they’re a couple, but not married? What if one’s a doctor?! Feeling overwhelmed yet? Breathe. In the digital age the rules and regulations for proper wedding etiquette are more confusing than ever. 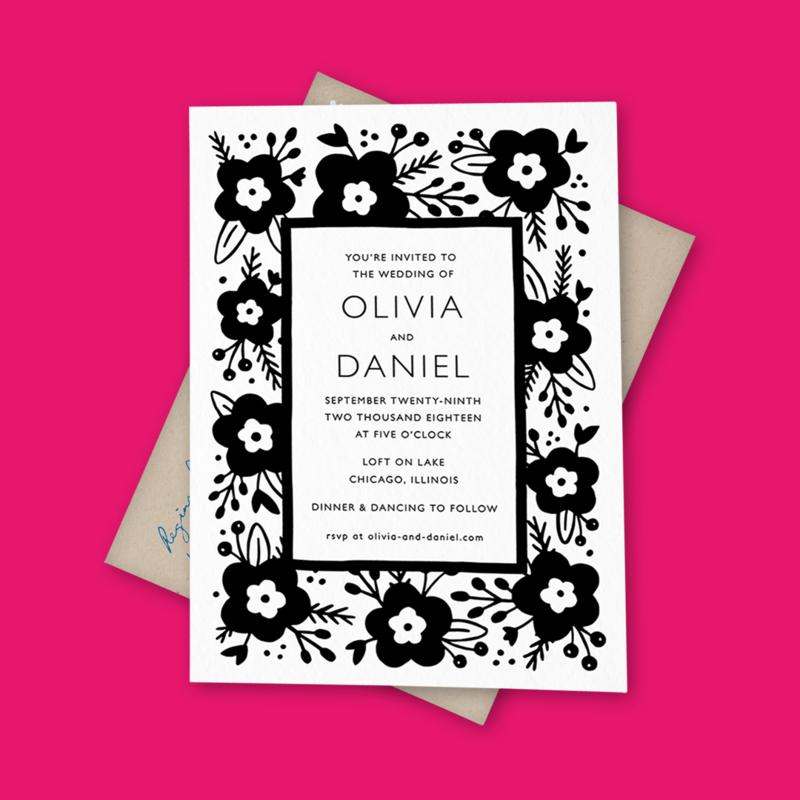 But, rest easy, we’ve read Emily Post’s Guide to Etiquette cover-to-cover so you’ll know how to address wedding invitations and save the dates in no time. First off, we’ve got you covered on how to address formal wedding invitations. If you’re planning a black and white tie event for your wedding then you’ll probably want to address your envelopes formally. Then again, if you’re planning on hosting a barefoot sandy beach wedding and have your reception on a beach, you’ll probably aim for something on the casual end of the spectrum. When addressing wedding invitations, keep in mind who you’d like to invite. 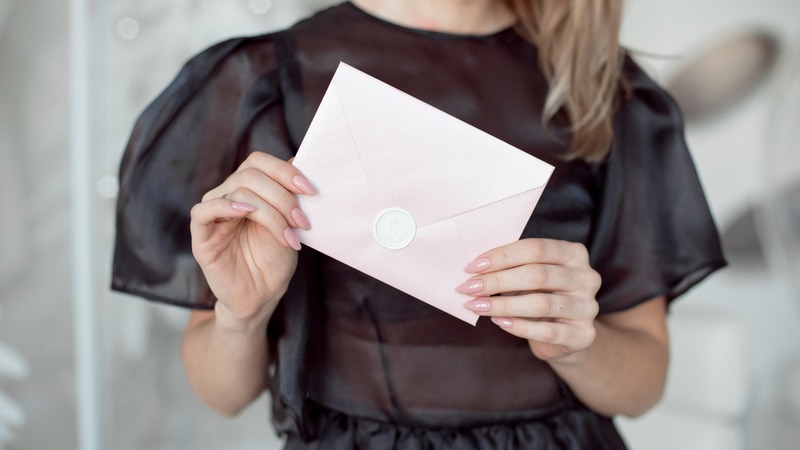 If the entire family is welcome to join, you can address the envelopes to the whole family, but if you’d like to host a kid-free wedding address the invites directly. This is why reviewing your guest list and finalizing it with a correct head count is an important step prior to mailing out those wedding invites. When you’re thinking about how to address your save the dates, keep these same points in mind. You don’t want to send someone a save the date if they’re not going to be receiving an actual invite (checkout these Do’s & Don’ts for wedding invites & save the dates). *Whichever spouse has the professional title should be listed first. How to address wedding invitations to families & children? If you’d like to extend an invite to entire family, you can do so one of two ways. You can either write out all the names or simply just address the envelopes to the family name. *If you’re looking to have a kid-free wedding and feel awkward about telling guests, one subtle way to solve this is to make sure that the envelopes are ONLY addressed to the parents. A few additional tips on how to address wedding invitations. Only send invites to those you’d actually like to invite. If your budget calls for 100 guests, but you send out 150 with the hope that 50 will RSVP with a ‘Regretful No’ you’re likely going to end up with a lot more folks than you can host. Even if you’re certain the ‘extra’ people you’re sending invites to will not be able to make it, don’t take that chance. More often than not, these people will do everything they can to alter their schedule in order to make it for your big day. Just plan ahead of time and act accordingly. Look at your guest list long and hard to make sure everyone you’re inviting will make your wedding day special. Don’t do them all at once. Your wrist will thank you. You may have the urge to knock out addressing wedding invitations all in one sitting, but writing out hundreds of envelopes in one day may be more than you bargained for. Split the total number of invites into 4 (or more) groups depending on the total number and spend no more than one day on each group. So if you have 100 wedding invites, give yourself minimum 4 days to address the envelopes. Not only will your wrists begin to get sore, but your handwriting — even if it’s usually beautiful — will begin to suffer. Keep a running list handy to make sure you cross off the names that you’ve completed. Staying organized is key as this process will likely take some time. Do it in 5 minutes. But wait, what? Yep. 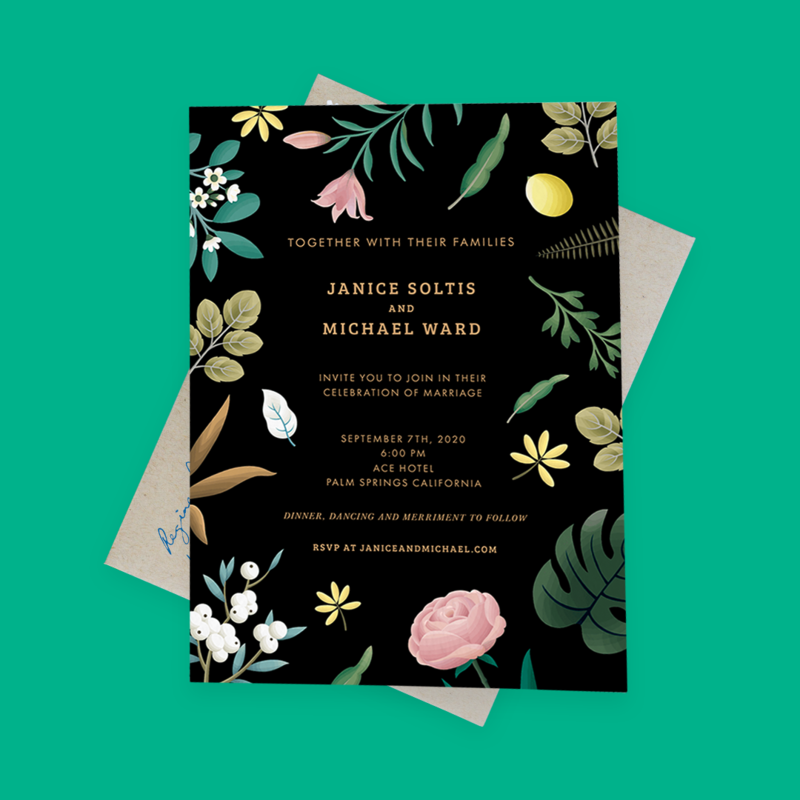 A little pro tip for ya: Postable will address and mail all of your wedding invites for you. Your wrists will thank you and you won’t have to spend an eternity trying to write out hundreds of envelopes. You’ll be able to choose from a number of really nice handwritten fonts (many of which are of the cursive persuasion) along with the formality level. Just upload your spreadsheet of contacts (or use your existing Postable address book), choose and customize one of the stunning wedding invitation designs and click send. Then sit back and relax — or move onto one of the other million things you need to do before the big day. Let us worry about addressing & mailing the invites. Love this! So helpful. I think it’s possible for people to take offense to just about anything but this list makes that as least likely as possible! Everybody’s different but it’s nice to know the actual etiquette. I prefer Mr. and Mrs. Jones myself, call me old fashioned. Thanks for addressing this challenging topic! I believe a woman who keeps her last name after marriage is not typically “Mrs.” She would be Ms. Beasley.